Barack Obama Birth Chart, analysis of barack Obama kundli, Free encyclopaedia of a great personality (44th President of USA), Horoscope of Barack Obama by astrologer Astroshree, Numerology of Obama. Who is not aware of the super power USA and the man who is controlling this great country is non other than Mr. Barack Obama. A man who has motivated millions of people around the world, a simple man but disciplined, intelligent, smart enough to perform any task. It would not be an exaggeration if I say that he has the power to change the world by his only one decision. He has the power of technology, he has the group of smart people, he has the army which is one of the best army in the world. He has the plane which is not present any where else in world. The most important thing to learn from his personality is that in-spite of having so much powers in his hand he is very simple and down to earth. No one can say that he has used his power without any true reason. He is a good friend, he is a good husband, he is a good politician and orator and a great man. These all qualities have insisted me to see his horoscope so as to know about the planetary positions of a successful man, a great politician and a great social worker. I have used the web to find the date of birth, place of birth and time of birth. Here I am giving the astrology analysis as per Vedic astrology which will definitely clear the power of Jyotish/astrology before every one. See how planets makes a person. This honourable and powerful personality was born on 4th August 1961, Friday at 19:24 in Honolulu which is one of the most populous city, principal port and capital of Hawaii in United State. His zodiac is Taurus and Obstinacy is another characteristic of a Taurus people, after taking any decision it is impossible to move them from their decision. This become problem sometimes. Due to practical nature they don't face any problem in social life. They see both the aspect of any incident. Taurus people are also very fond of living a luxurious life and they do. Patience is also seen on Taurus people. The people of this zodiac are very focused and try to do the work very sincerely. In spite of living a luxurious life they don't go beyond their limit. Logical mind of Taurus persons are very active so it is not possible to dominate them in debate easily. 1. Positive Saturn is present in the Ist house in Lagna kundli which is making him a very hard worker. Shani is giving hima tremendous power to work continuously honestly. Saturn not only makes a person hard and devoted working person but also it makes a person spiritual so no doubt he is a spiritual person too, a good contemplator. But at the same time here debilitated Jupiter is present which is definitely create problems in his life too. 2. Budhaditya yoga is forming in his 7th house which is responsible for bringing name, fame, honour in society etc. 3. Moon is exalted and sitting in 5th house which is also a very good yoga. It is making him intelligent and also wandering in nature too. 4. Positive Ketu is present in 2nd house which is a very powerful thing for any politician because Ketu is a planet which at-once bring changes in life. If it is positive then it is beneficial and if negative it brings negative changes. Here good ketu is supporting him and therefore it is definitely making his life strong and beneficial. 5. Venus is supportive in his kundli and therefore no doubt this planet is giving him a hypnotic personality. He is residing in the hearts of millions. 6. In his 7th house Mercury is negative and in 8th house rahu is negative which shows that his personal life is also not free from misconception. It might have possible that due to any type of misconception problems might have disturbed his life. The lucky number for him is 4 and 2. 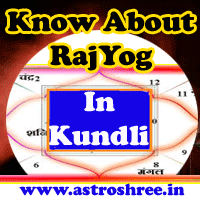 Two represent the Moon, this Moon is good in his kundli too so it is also a good thing for him. Next is 4 which is related to dragon's head or rahu. It is again supporting him and thus is a good for any politician. Hope this article has provided you some knowledge about astrology of President of USA.